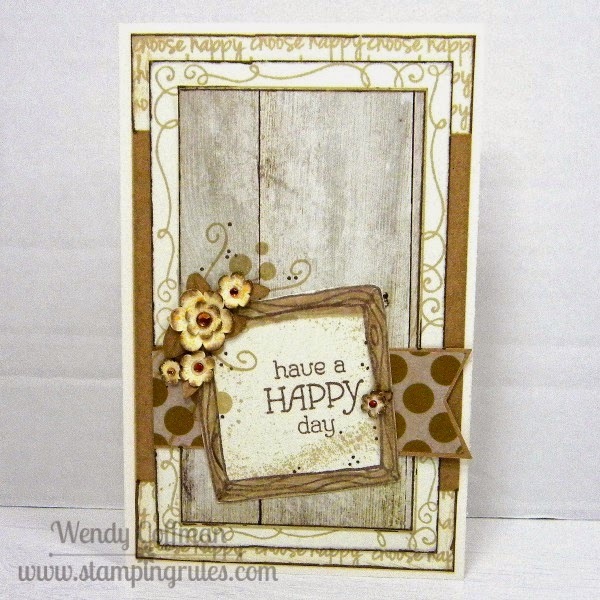 Anyhoo, I was toying with the new Mojo Monday tall and skinny sketch, when I realized I could use my favorite (and easy to fussy cut) little woodgrain frame. I stamped the furthest background with lots of the "choose happy" sentiment. Then I stamped around the edges of the front background layer with the swirly border image. I added in a bit of kraft CS to keep the color scheme in the neutrals. The woodgrain paper came from an Simple Stories Story of Us 6x6 pad. The only ink color I used was Champagne. I used Shin Han alcohol markers in Bronze and Clay plus the blender. The flowers were spritzed with Heidi Swapp Color Shine in Mustard, to go along with the Gold Dot washi tape. 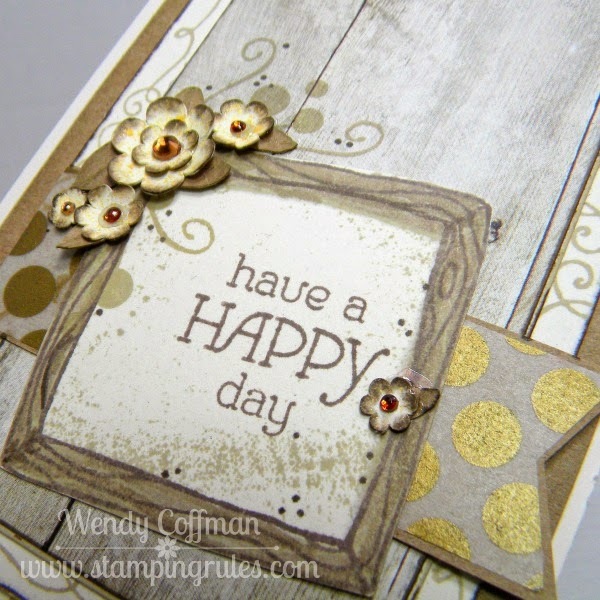 The dot spray and sentiment came from the Have a Happy Day stamp set. Which is what I'm doing today. See ya back here tomorrow with some Picture My Life goodness I've been stewing for a while. Hope you're having a happy day too! A beautiful card! I love the colors!